The producer of this year's 90th annual Academy Awards show said she is hoping to address the "Me Too" movement that has swept through Hollywood and beyond in recent months on Sunday night, but added that "we want the show to be about entertainment." "We've been talking to them about how to address it in a moment or two in the show," Jennifer Todd, one of the producers of the Oscars, told ABC News' Chris Connelly of the "Me Too" movement. "But obviously we want the show to be about entertainment." 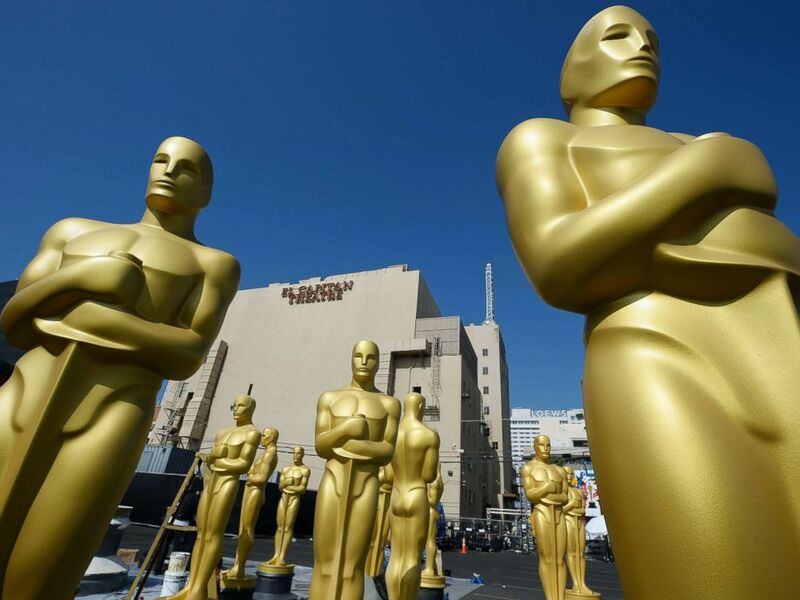 Oscar statues are seen near the red carpet as preparations are underway for the 87th annual Academy Awards, Feb. 18, 2015 in Hollywood, Calif.
She added, however, that it is an "important time, historically," with the ongoing campaigns to raise awareness and combat inequality and sexual misconduct in the workplace. Todd, who is producing the awards show for the second year in a row alongside Michael De Luca, described the night as the "Super Bowl of entertainment." Jennifer Todd attends the 27th Annual Producers Guild Awards at the Hyatt Regency Century Plaza, Jan. 23, 2016, in Century City, Calif.
She added that they have learned a lot from last year's infamous best picture envelope mix-up. "As painful as the envelope was last year, I realized in that moment that everyone would remember what year I produced the show," she quipped. "It was unforgettable. 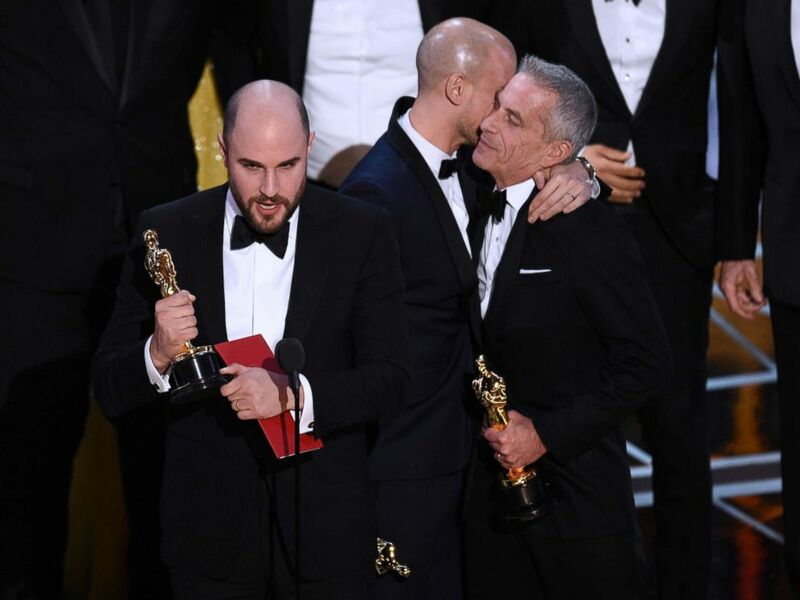 Jordan Horowitz, left, of "La La Land," mistakenly accepts the award for best picture at the Oscars on Sunday, Feb. 26, 2017, in Los Angeles. "What I learned last year is there's a lot of elements to the show that you can't control," she added. "I try, but you never know what can happen." Todd says this year's show, however, will be a "whole new world." "They're different shows every year," she said. "Because you have different films, and different people coming in." While host Jimmy Kimmel, who is also back for the second year in a row, "brings the fun and the funny," according to Todd, she said producers still try to incorporate the "heart," and "the earnest love of movies" at the awards show. 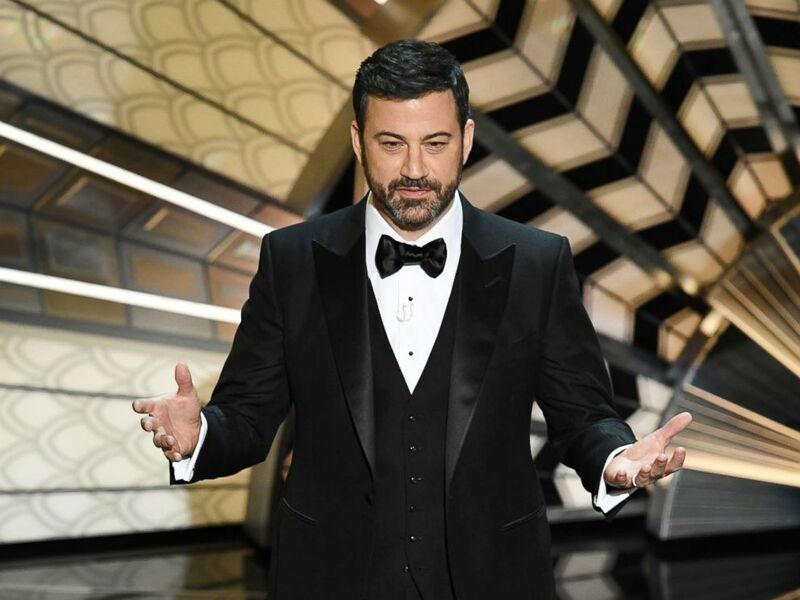 Host Jimmy Kimmel onstage during the 89th Annual Academy Awards at Hollywood & Highland Center, Feb. 26, 2017, in Hollywood, Calif.
Todd said they try to respect that people "practice in their bathroom mirror, for their whole lives, what it would be feel like to win an Oscar." While she teased that Kimmel "has a lot of great surprises planned," she added, "I really hope there aren't any surprises to do with any envelopes."